Pure luxury. On chilly winter days, slip this jewel of a hat on and you'll forget all about the weather. 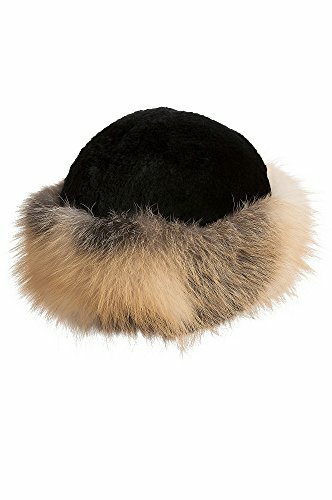 Made of silky sheared Canadian beaver fur, this winter cap features lush Canadian fox fur trim around the entire crown, framing your face in elegance and warmth. Quilted lining keeps you comfy from dawn to dusk. Made in Canada. If you have any questions about this product by Overland Sheepskin Co, contact us by completing and submitting the form below. If you are looking for a specif part number, please include it with your message.